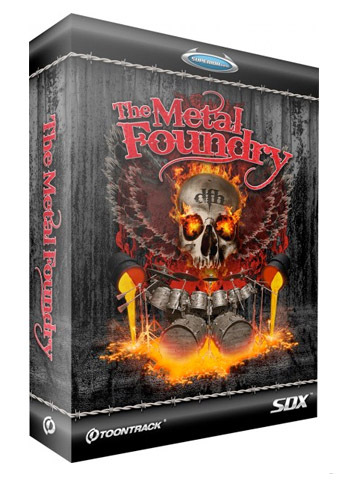 L'extension SDX : The Metal Foundry est une extension nécessitant le logiciel Superior Drummer de Toontrack. Créé par les auteurs de DrumKit From Hell, l'extension Toontrack SDX The Metal Foundry, contient 7 kits massifs de batterie enregistrés avec le célèbre Tomas Haake, pour un résultat exceptionnel ! 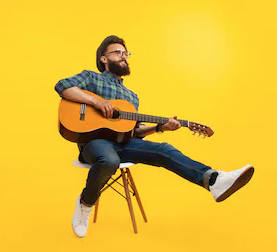 Plus de 300.000 sons joués dans la continuité de Drumkit From Hell et DFH Superior, couvrant les styles les plus divers, allant du Hard Rock au Metal, en passant par le Trash, Death et Progressive Metal. - Sonor Tomas Haake Custom Designer Series 18x22"
- Sonor Tomas Haake Custom No Front Head 18x22"
- Sonor Tomas Haake Custom Designer Series 20x24"
- Sonor Tomas Haake Custom SQ2 18x22"
- DW Collectors Series 16x24"
- Tama ImperialStar Royal Pewter 14x22"
- Tama ImperialStar Placer Gold 14x24"
- Ludwig Amber VistaLite 14x26"
- Tomas Haake Engineering 7x13"
- Sonor Artist Series 6x14"
- Sonor Tomas Haake Custom 7x14"
- Pearl Ian Paice Signature 6.5x14"
- Pearl Free Floating Brass 5x14"
- WFL Marching Snare with Wood Hoops 12x14"
- Ludwig Supraphonic 402 6.5x14"
- WFL U.S 276 6.5x15"
- Ludwig Clear Vistalite 6.5x14"
- Pearl Reference Low Pitched 6.5x14"
- Pearl Free Floating - Maple 5x14"
- Pearl Sensitone Aluminum 5x14"
- Sabian HHX Stage Hats 14"
- Sabian HHX Power Hats 14"
- Sabian HH Hats 15"
- Sabian HHX Stage Hats 15"
- Paiste Giant Beat 15"
- Tomas Haake Custom Designer Series 8x10"
- Tomas Haake Custom Designer Series 9x12"
- Tomas Haake Custom SQ2 10x10"
- DW Collectors Series 9x12"
- Tama ImperialStar 1975 5.5x6"
- Tama ImperialStar 1975 8x12"
- Ludwig Amber Vistalite 10x14"
- Tomas Haake Custom Designer Series 10x13"
- Tomas Haake Custom SQ2 14x14"
- DW Collectors Series 10x13"
- Tama ImperialStar 1975 5.5x8"
- Tama ImperialStar 1975 9x13"
- Tomas Haake Custom Designer Series 10x14"
- Tomas Haake Custom SQ2 10x12"
- DW Collectors Series 11x14"
- Tama ImperialStar 1975 6.5x10"
- Tama ImperialStar 1975 10x14"
- Tomas Haake Custom Designer Series 15x15"
- Tomas Haake Custom Designer Series 16x16"
- Tomas Haake Custom SQ2 16x15"
- DW Collectors Series 13x16"
- Tama ImperialStar 1975 12x15"
- Tama ImperialStar 1975 16x16"
- Ludwig Amber Vistalite 16x16"
- Tomas Haake Custom Designer Series 17x18"
- Tomas Haake Custom SQ2 18x18"
- DW Collectors Series 14x18"
- Tama ImperialStar 1975 14x16"
- Tama ImperialStar 1975 16x18"
- Ludwig Amber Vistalite 16x18"
- Sabian Morgan Agren Custom Ride 22"
- Sabian Tomas Haake Custom Power Bell Ride 22"
- Paiste Giant Beat 24"
- Sabian HHX Legacy Ride 22"
- Sabian HHXtreme Crash 16"
- Sabian HHX Stage Crash 16"
- Sabian HH Sound Control Crash 15"
- Sabian HH Splash 12"
- Sabian HHX Stage Crash 18"
- Sabian HH Thin Crash 16"
- Sabian HH Crash 19"
- Bosphorus Traditional Series 19"
- Sabian HHX Legacy Ride 20"
- Sabian HHX Stage Crash 19"
- Sabian HH Medium Crash 20"
- Paiste Giant Beat 18"
- Sabian Morgan Agren Custom Dark Crash 20"
- Sabian HHX Groove Ride 21"
- Sabian HH Medium Ride 22"
- Sabian HH Splash 8"
- Sabian HHX Stage Crash 21"
- Sabian HHX Stage Crash 20"
- Zildjian Medium Crash 18"
- Sabian HHX Stage Crash 22"
- Bosphorus The Hammer 20"
- Sabian Paragon Chinese 19"
- Sabian AAX Mini Chinese 14"
- Sabian AAXtreme Chinese 19"
- Sabian HH Chinese 18"
- Sabian AAXtreme Chinese 21"
- Sabian HHX Chinese 18"
- Sabian AAX Chinese 20"
- Sabian HH Splash 10"
- Sabian HH Thin Crash 16"/ Paragon Chinese 19"
- Sabian HH Sound Control Crash 15"/ HH Chinese 18"
- Sabian HH Splash 12"/ AAX Mini Chinese 14"
- Sabian HHX Stage Crash 18"/ HHX Chinese 21"
- Sabian HHX Stage Crash 18"/ AAXtreme Chinese 21"